If you’re passionate about enjoying more of life with great music, you can trust Apple Music to keep you with the times. With Apple Music, you can unveil sounds like you’ve never done before, and rest assured that you won't miss out on your favourite beats. Create your own playlists to keep you grooving on the walk to work, when you’re at the gym or when you’re entertaining, Apple Music will even create custom daily playlists for you to enjoy based on your listening history and music preferences. Apply Music gives you the freedom to play anything, letting you access a vast music library of over 40 million songs and counting, alongside your entire iTunes library. Even when you’re offline, download those tunes beforehand and you’ll be able to save your data while you stream your favourite music. No signal required. 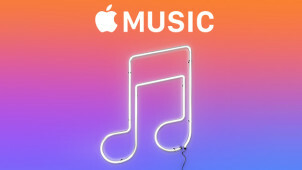 Giving you access to just about every genre of music available - no strings attached - it doesn’t stop at Hip-Hop, Jazz or Indie Pop with Apple Music. How do I use my Apple Music discount? Your discounts will be automatically included so you can enjoy your Apple Music on all of your devices. Give an Apple Music free trial a go before signing up! Do students get a discount with Apple Music? Indeed, the studious get 50% off with Apple Music subscriptions. Can I gift Apple Music? Yes you can! An Apple Music Gift Card can be redeemed against 3- or 12-month subscriptions for individual memberships. Can I get Apple Music on my ipod? Yes! You can access your Apple Music account on devices like your smartphone, tablet, Apple TV and desktop or Macbook. There's no commitment to Apple Music, you can cancel at any time. Sign up to Apple Music and have the world’s soundtrack at your fingertips. Apple’s membership music service is a sleek and intuitive as its technology, giving you the freedom to discover and listen to new tracks while you compile playlists of your favourites too! Check it out with an Apple Music vouchers, to curate and covet your own personal music collection on your iPhone and other devices. What are you waiting for? Get access to the latest and greatest with Apple Music. Beats 1 is the Apple Music Radio Station; unleashing fresh sounds to feed your desire for new music from emerging artists. The line-up of DJs and artists host original shows every day of the week, and there’s even an on demand function to ensure you can keep with all the shows when it suits you. Tune in for Real Talk with Mary J. Blige, OTHERtone with Pharrell Williams or join Zane Lowe for the latest insights into the music industry. The individual membership is great value for money, but for those who are knee-deep in the university years, the Student Membership is no brainer. Studying, chilling and partying just got a whole lot better, because you can tap into the full experience with an Apple Music discount codes for a bargain monthly subscription. What’s more, you can try it for free for 3 months, just to sweeten the deal.